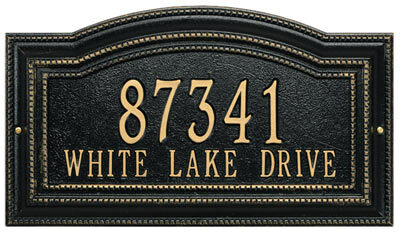 The Whitehall Arbor Arch One Line Standard address plaque combines the popular arch style with a classic beaded border to give a spectacular frame for your home address. 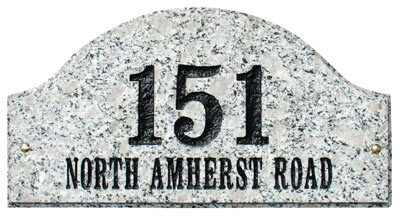 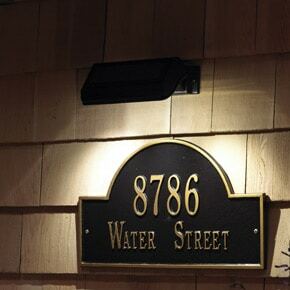 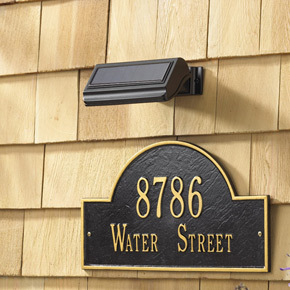 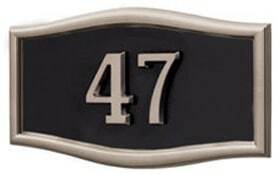 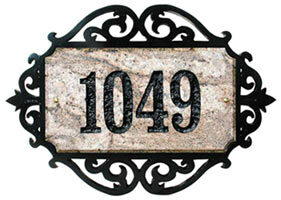 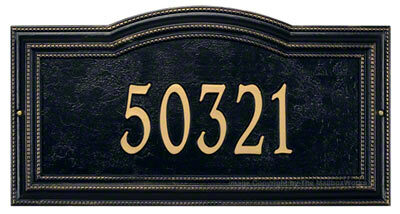 Shown in Black with Gold Letters, the Arbor address plaque comes in 5 finish combinations. 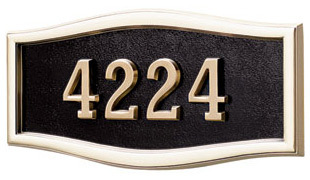 Estate Size Plaque 12.875" 24.5" 1.25"